Ascended, meet your new Community Managers: Eric “Ocho” Cleaver and Evan “Scapes” Berman! They’re new to the Trion Worlds family but have been growing and championing online game communities for more than 15 years combined. Greetings, fellow Ascended! My name is Evan “Scapes” Berman and I am a Senior Community Relations Manager here at Trion Worlds. I began my gamer life with an Apple IIC playing memorable two-tone titles held on floppy floppies. First embarking online when ISPs charged per minute and Geocities was tapping into the urge to Facebook before “social media” was a term, it was only natural that my love of multiplayer games would lead to a position at Flagship Studios, taking me away from editing commercials for advertising firm Crispin Porter + Bogusky and across the nation to join a new industry. Originally a Hellgate: London fansite operator, I used my new official role to liaise between players and developers for the improvement of the game. Most recently, I championed the TERA community as one of the first employees at En Masse Entertainment, grew a vast army of mech pilots for Khang Le’s twitch shooter HAWKEN for Meteor Entertainment and Adhesive Games, and ushered in a new generation of independent developers onto Microsoft’s next generation Xbox One console as part of the ID@Xbox team. The introduction of MMOs completely changed my way of gaming though, and playing anything else these days is a rarity for me.  Of course the main games I’m playing right now are RIFT and Defiance, but I’m hugely excited to see ArcheAge and Trove as well. Over the last several years I’ve worked in community on a number of games, including City of Heroes and EverQuest, and now I’m hugely excited to be working here at Trion Worlds with all of you folks. To me the most exciting part of the MMO world is you, the players, because you’re every bit as much a part of what makes our games great as our development teams are. So hi and nice to meet all of you. I’ll have a lot of questions for you all, so don’t be surprised if I poke my nose in your conversations on our official forums, Facebook, Twitter, or anywhere else our games are discussed! You’ll be able to find Eric and Evan posting on the official forums, chatting via socials, and previewing upcoming game content in videos. Feel free to call them by their first names or forum handles, and be sure to let them know about the best RIFT livestreams, cool player-made content, and what you want to see next in the game.